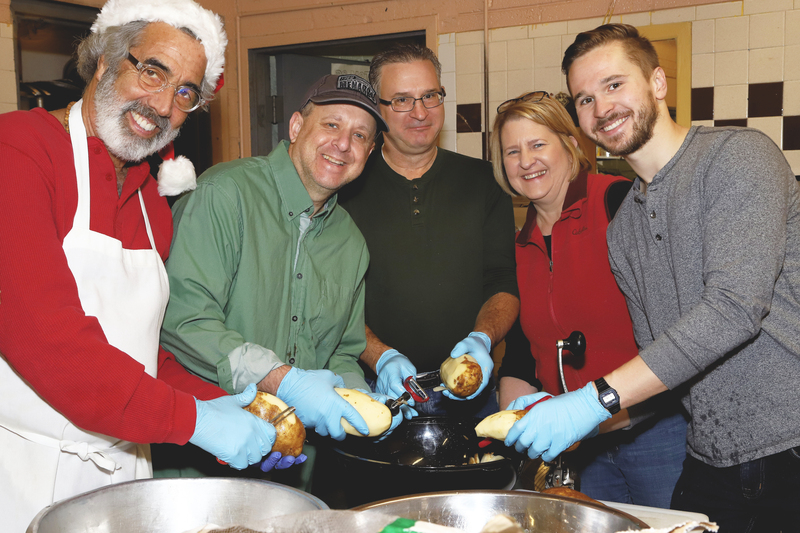 November 14, 2018 –Jewish Community Relations Council/AJC (JCRC/AJC) will host its 22nd Annual Mitzvah Day this Christmas Day at nonprofit organizations throughout metropolitan Detroit. The word “mitzvah” is Hebrew for “commandment,” and commonly refers to performing a good deed. The daylong event is held in partnership with the Jewish Federation of Metropolitan Detroit. On Tuesday, December 25, nearly 1,000 volunteers of all ages will visit a growing list of nearly 40 locations to work shifts beginning as early as 6:30 a.m. and ending as late as 6:30 p.m. Activities available at these social service projects will range from meal and toy delivery to visiting with older adults and cleaning out storage closets. Volunteers have several weeks to pre-register for a specific site, such as Detroit Rescue Mission, Mariners Inn and Cass Community Social Services, as well as the VA Hospital, Michigan Humane Society, Jewish Community Center and Sanctum House, which are all new to Mitzvah Day this year. Mitzvah Day, which is the single largest day of volunteering by Detroit’s Jewish community, was founded in 1996 by JCRC in order to fill staff shortages or to allow organizations to reduce staffing on Christmas Day. It has grown exponentially since then and now includes several interfaith sites, which are coordinated in partnership with the Michigan Muslim Community Council. “It’s truly special to see returning and new individuals, groups and multi-generational families come together to perform meaningful acts on Christmas Day,” said JCRC/AJC Executive Director David Kurzmann. The 2018 co-chairs are JCRC/AJC Board Members Micki Grossman, Milt Neuman, Illana Stern and Ellen Yashinsky Chute. Site registration is available through December 20 at www.mitzvahdaydetroit2018.eventbrite.com. Volunteers under 18 must be accompanied by an adult. For more information, contact Naomi Levine at 248-642-2656 or nlevine@jfmd.org.